The Chinese smartphone makers continue to take the market to new heights. The companies such as Xiaomi, Vivo, and Oppo are taking new technology to the masses. After successfully capturing the entry-level and affordable segment, these companies are now focused on mid-level sub 30k segment. If you are looking to purchase mobile device under Rs 30,000, there are a lot of option available and you can also check our article to find more. However, if you have already decided and are confused between Vivo V11 Pro and Poco F1, here is your guide. In terms of looks, the Vivo V11 Pro which was launched earlier today scores a home run. The phone looks stunning due to its huge screen and a unique waterdrop notch. The glass back finish gives V11 Pro a complete premium feel. Poco F1, on the other hand, has a polycarbonate back making it look low-end. Xiaomi claims that it increases the durability of the device. You do get color options and rugged edition option, but you will have to give up on the glass back. The Vivo V11 comes with a 6.41-inch FHD+AMOLED display with 2340 x1080 pixels resolution and screen to body ratio of 91.27 percent. The Poco F1 is equipped with a 6.18-inch display with 2246×1080 resolution. The Vivo V11 has an in-display fingerprint scanner which is not available in the Poco F1. This makes the V11 Pro a device from the future. Vivo V11 Pro is powered by a Qualcomm Snapdragon 660AIE Octa-core processor. It comes with a 6 GB of RAM and 64 GB of storage. The Poco F1 is powered by a Qualcomm® Snapdragon™ 845 processor capable of clocking 2.8 GHz. The top variant with the price close to the V11 Pro comes with 8 GB of RAM and 256 GB of Storage. The Vivo V11 Pro comes with a dual-camera setup on the rear with a 12 MP + 5MP shooter. On the front, you get a 25MP camera for stunning selfies. The Poco F1’s rear camera is also a dual camera setup with 12MP +5MP, but on the rear, there is only a 20 MP camera. Cameras of both the mobiles are backed by AI, so expect them to deliver crystal-clear images. Also Read: Comparison Between Poco F1 and OnePlus 6: Which One is the Best? The base variant of Poco F1 is priced at Rs 20,999, whereas the Vivo V11 Pro is priced at Rs Rs 25,990. It is a close call to select between this two devices. The Poco F1 is a sub-brand of Xiaomi and comes with a performance benchmark set by the company. 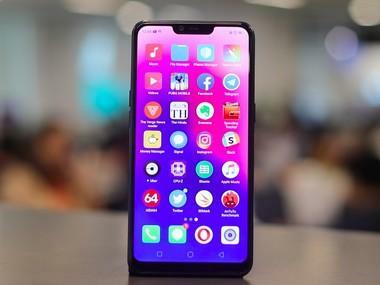 The Vivo V11 Pro, on the other hand, is equipped with features from the future. Which one is better according to you? Share your thoughts in the comments section below.